Play, stay, dine and save up to $500 on a 5-night/6-day room, ticket and dining plan package for a family of four at select Walt Disney World® Resort hotels for stays most nights Dec. 13-19, 2015 and Jan. 2-March 7, 2016 when you book by Dec. 23, 2015. When you stay at a Disney Resort hotel, you’ll be right in the middle of the magic. Plus, you’ll enjoy an array of special benefits to make your vacation magical. When you stay at a Disney Resort hotel, you’ll be right in the middle of the magic. 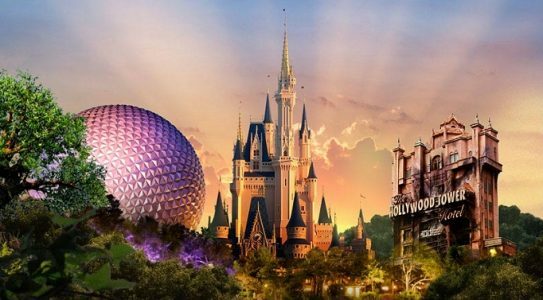 Enjoy special benefits to make your vacation magical – from airport transportation and extra time in the parks. Plus, with early access to Disney FastPass+ planning, you can reserve some attractions, shows and more—up to 60 days before you arrive! Based on availability, and restrictions may apply. To book your dream Disney vacation call our Leisure Department at 678-420-2510 for details.